Are you guys ready to discover the world of covers manufactured to protect... everything? Safeguard your rides, equipment, and other belongings become easier with our huge collection of protective custom made covers. We really understand how disappointing the spills, scratches and other damages on the new paint could be. Don’t let the various mechanical, weather-related and human factors spoil your life and your investments. Make sure all your equipment stays looking good and ready to go. For your convenience, we've divided our 'Covers for Everything' section into subcategories, so there is no chance that feeling that something is missing will appear. 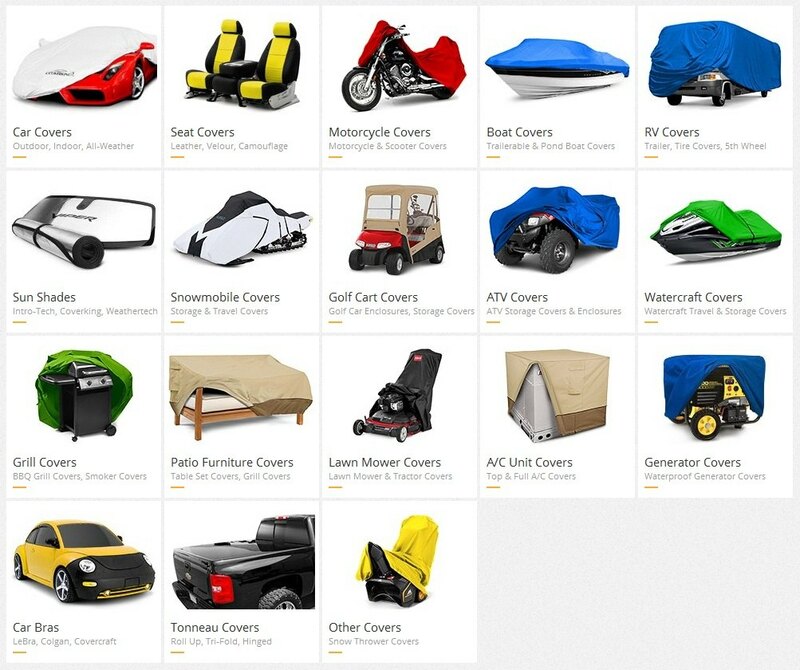 Are you using a cover for your car, motorcycle or other equipment? Hey!...first post hopefully many many more.